When it comes to superfoods, you’re most likely to think of kale, chia seeds, or acai berries. There’s a lesser-known superfood that may not come to mind immediately: ginger. With all of its benefits, ginger is a superfood fully worthy of the title. A common ingredient in Thai cuisine, ginger can offer its many benefits to your health — while also making your meal taste delicious. At Twist on Thai café in Hopatcong, we hope you think of us when you want a place to eat. Our Thai restaurant is vegetarian friendly, local, and offers seasonal dishes you’ll love. 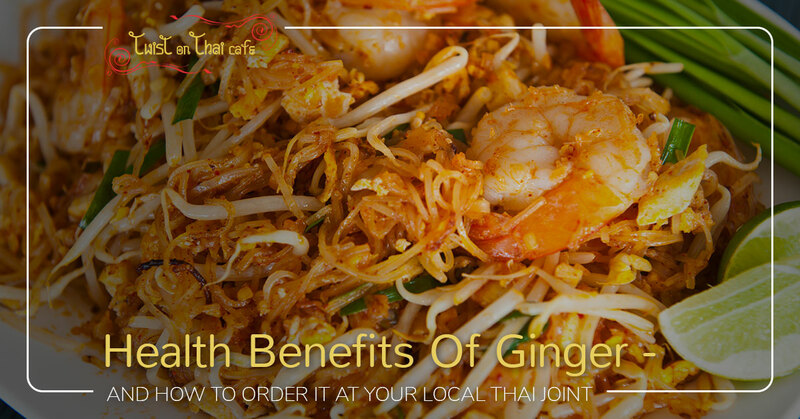 Read below to learn just a few of the benefits of ginger, and then find out what dishes at our Thai restaurant will increase the ginger in your diet. Check out our menu and make a reservation today. There’s a reason so many people eat ginger snaps when they experience motion sickness, morning sickness, or any other form of nausea: the ginger helps! Even just 1 to 1.5 grams of ginger can alleviate varied forms of nausea; from sea sickness to morning sickness to nausea from surgeries, ginger can help. Research is steadily suggesting more and more that ginger has anti-diabetic properties. By consuming just 2 grams of ginger powder each day, people can drastically lower their blood sugars and improve heart disease risk factors. 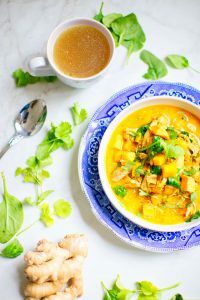 Not all Thai cuisine will necessarily have an entire 2 grams of ginger powder in your favorite curry, but a little extra ginger can go a long way — especially when you supplement your diet at home. High cholesterol is linked to increased risk of heart disease, and, as you know, what you eat can drastically lower your cholesterol. Ginger is one of these foods. Studies suggest that 3 grams of ginger powder per day can significantly reduce cholesterol markers. While consuming ginger won’t immediately cure you from the muscle pain or soreness from your intense workout yesterday, it can help. Consuming 2 grams of ginger per day, consistently, can help to reduce the progression of muscle pain and soreness. This is most likely due to the fact that ginger is anti-inflammatory. Twist on Thai salad – this salad features purple cabbage, cherry tomato, tofu, bean sprouts, and more. We offer two dressings with this salad, including our signature ginger orange dressing. Pad Khing – This is stir-fried, shredded ginger — along with vegetables galore, a light brown sauce, and your choice of meat. Ped Pad Khing – This is a Twist on Thai creation, and we think you’ll like it. It’s sliced roast duck, complete with shredded ginger and plenty of vegetables in a light brown sauce. Next time you’re looking for places to eat in Hopatcong, visit us! Chances are high that we’ll offer other dishes rich in ginger — just ask your server. Make a reservation today.